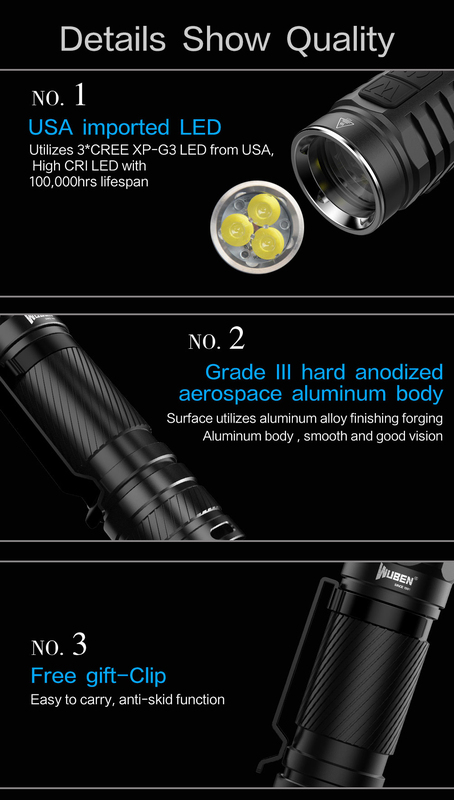 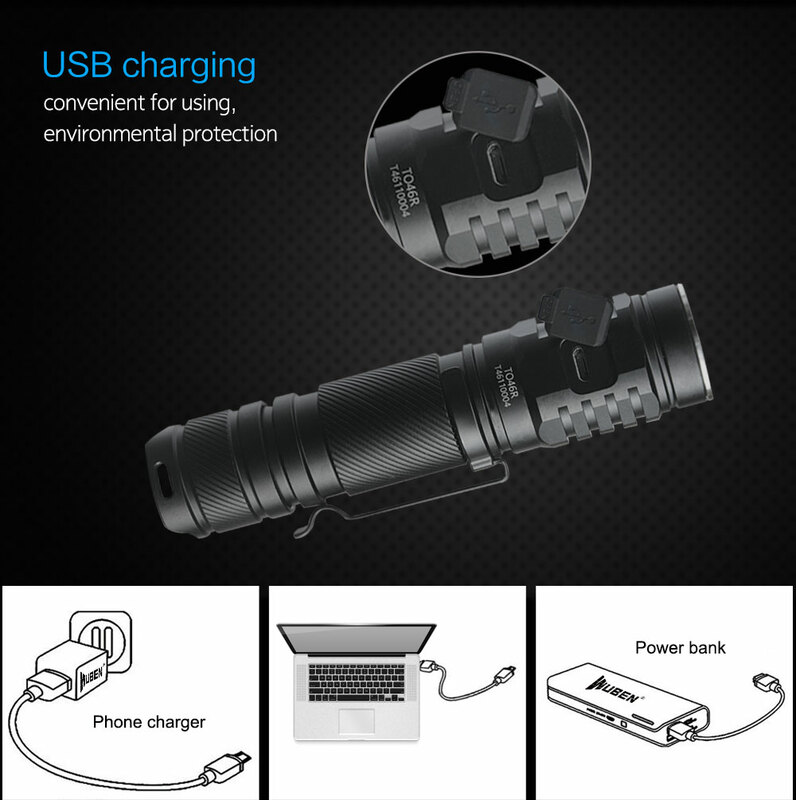 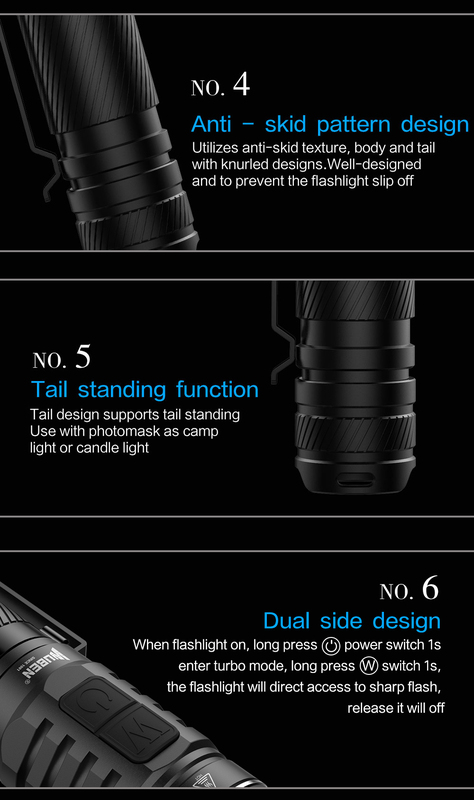 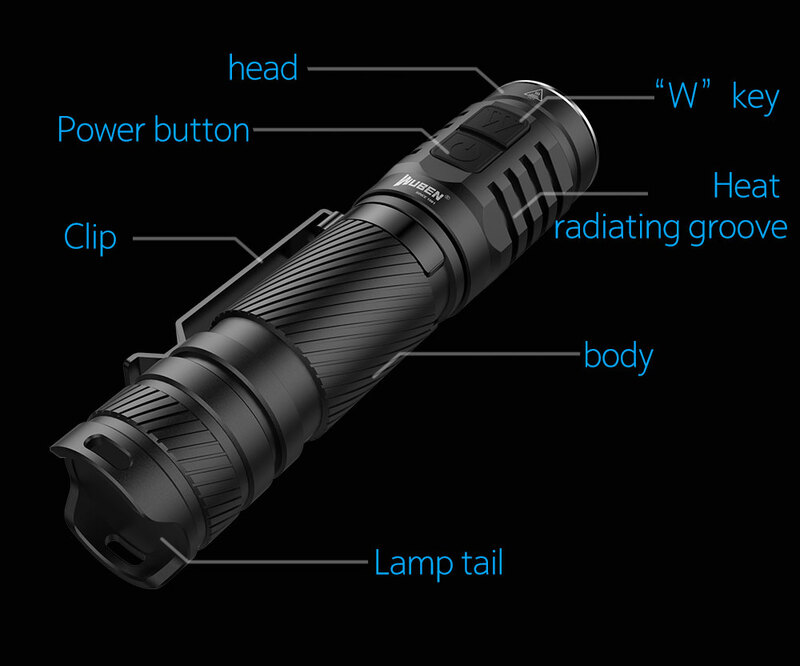 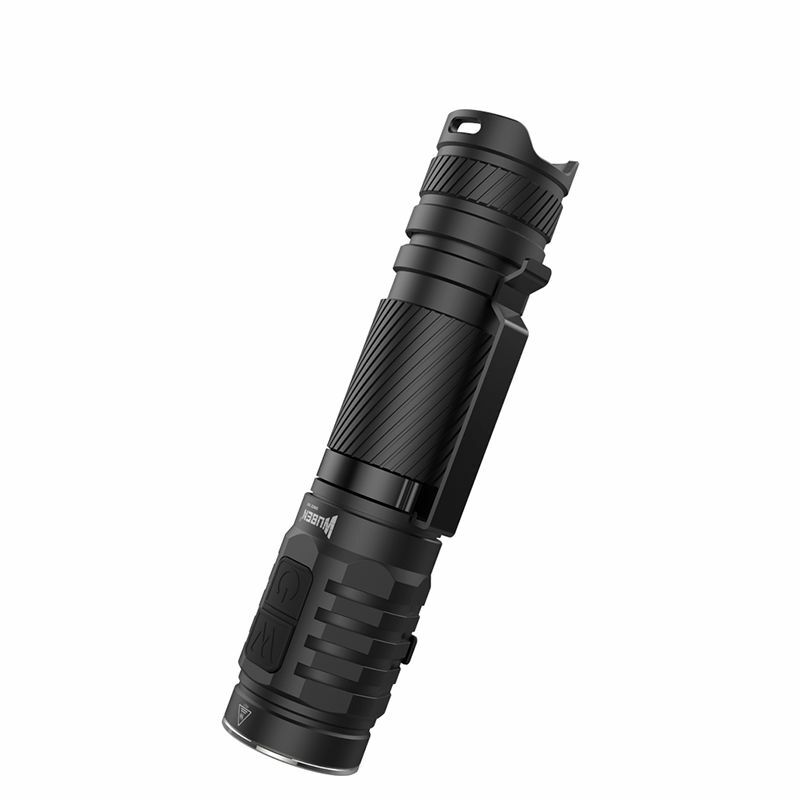 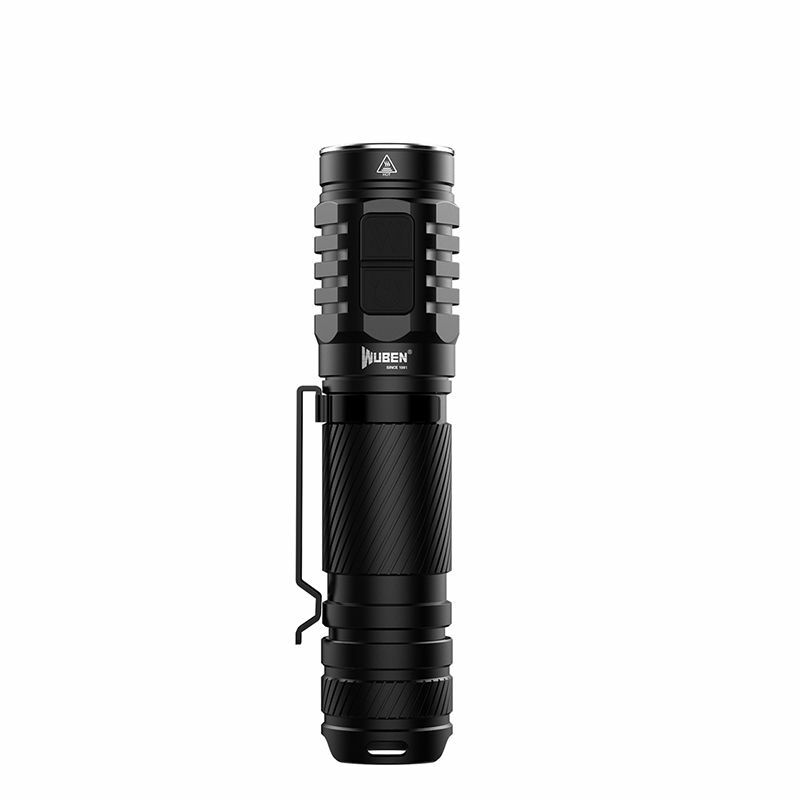 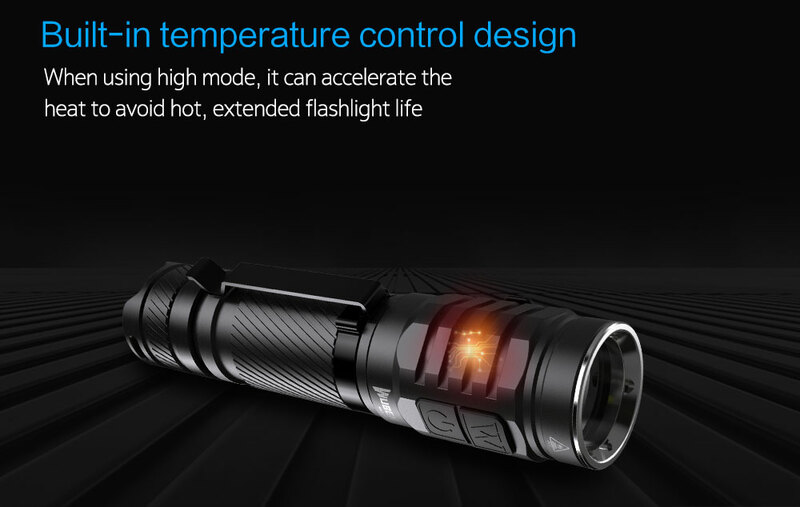 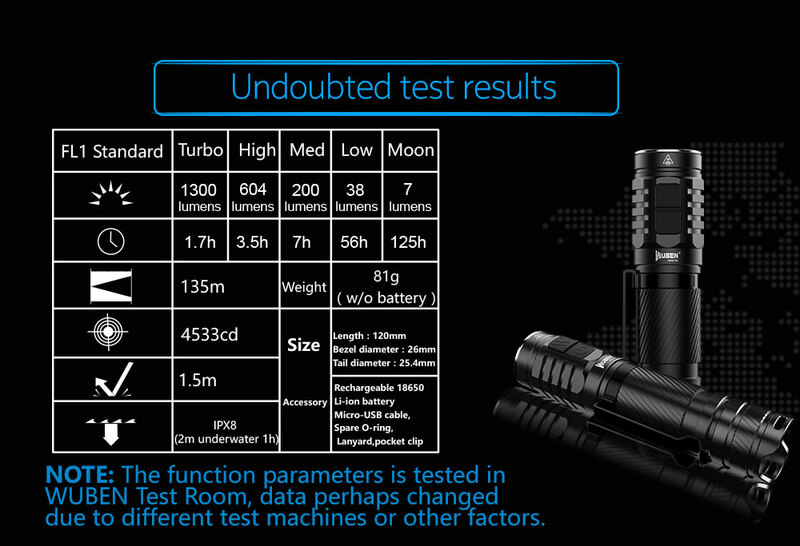 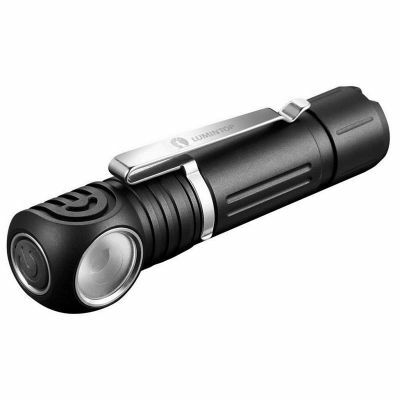 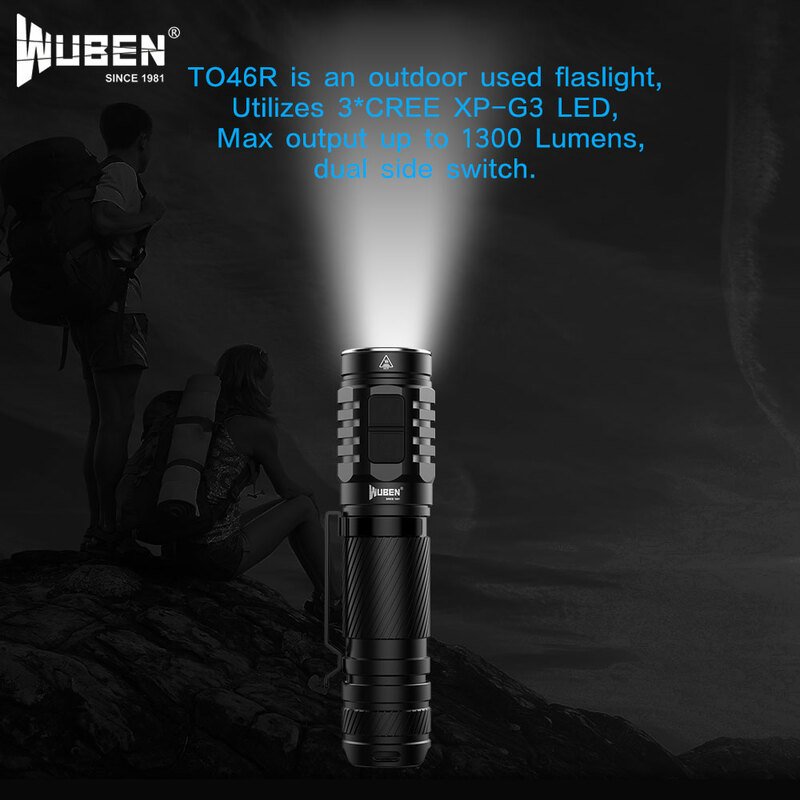 Wuben TO46R is a multi-function flashlight for outdoor shooting and outdoor sports. 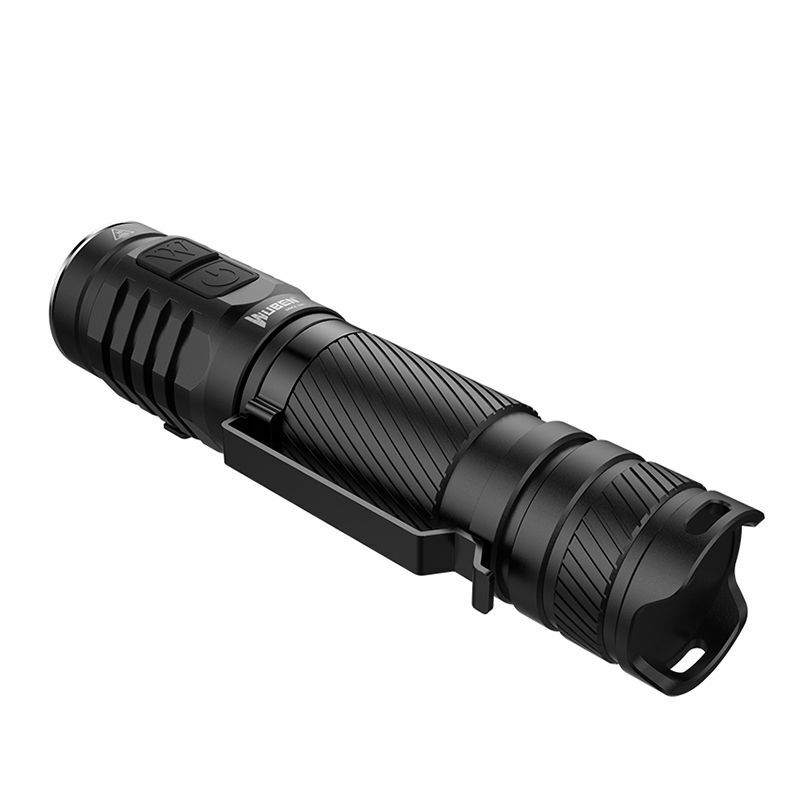 Equipped with 3* CREE XPG-S3 LED, high CRI, realistic restore color. 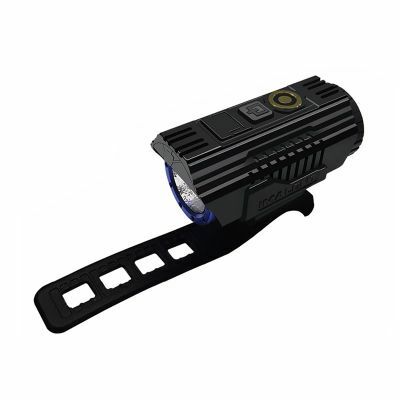 Max output up to 1300 Lumens and a max beam distance of 135 metres. 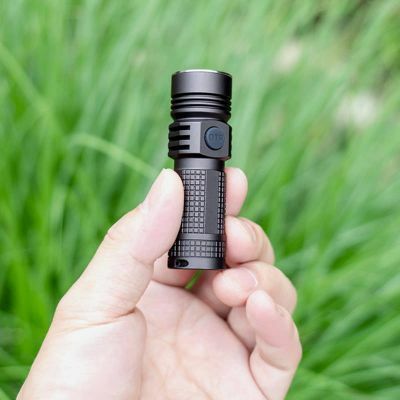 Press the switch on both sides, easy to achieve a very bright and a key burst flash. 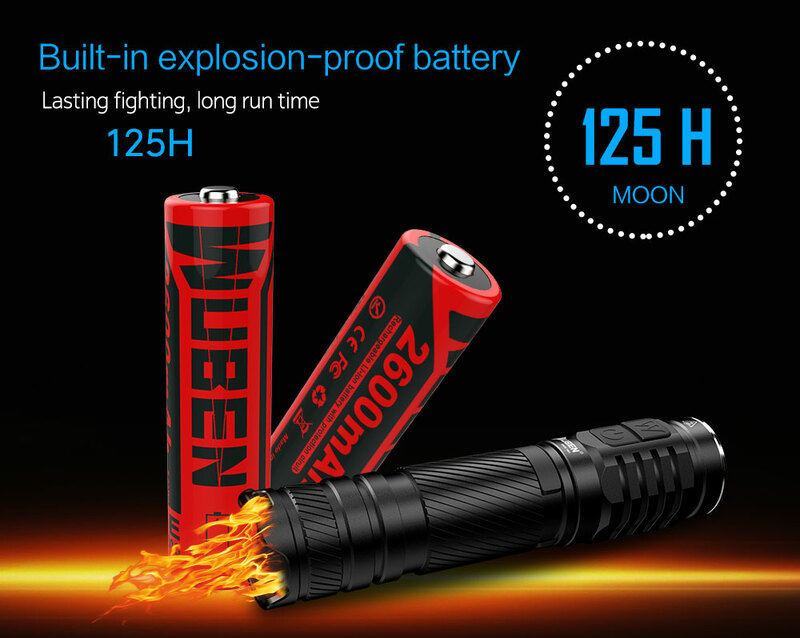 Power supply part of a 18650 battery with built-in charging design, the use of more convenient. 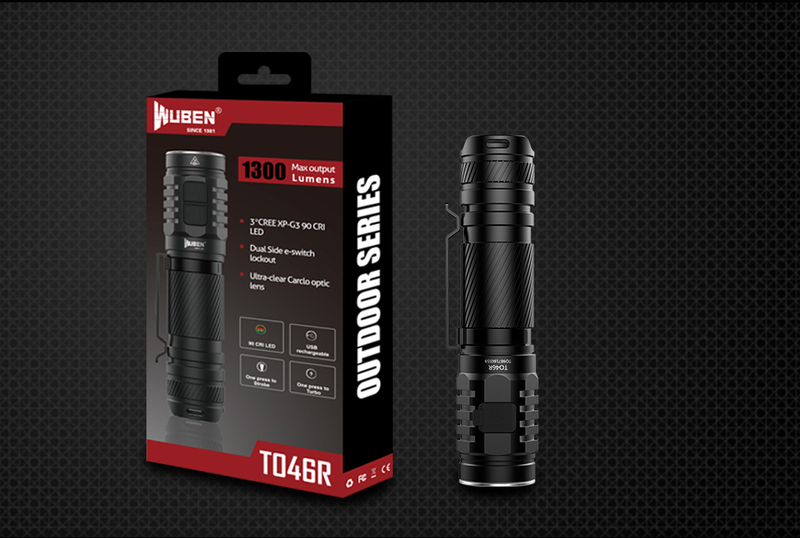 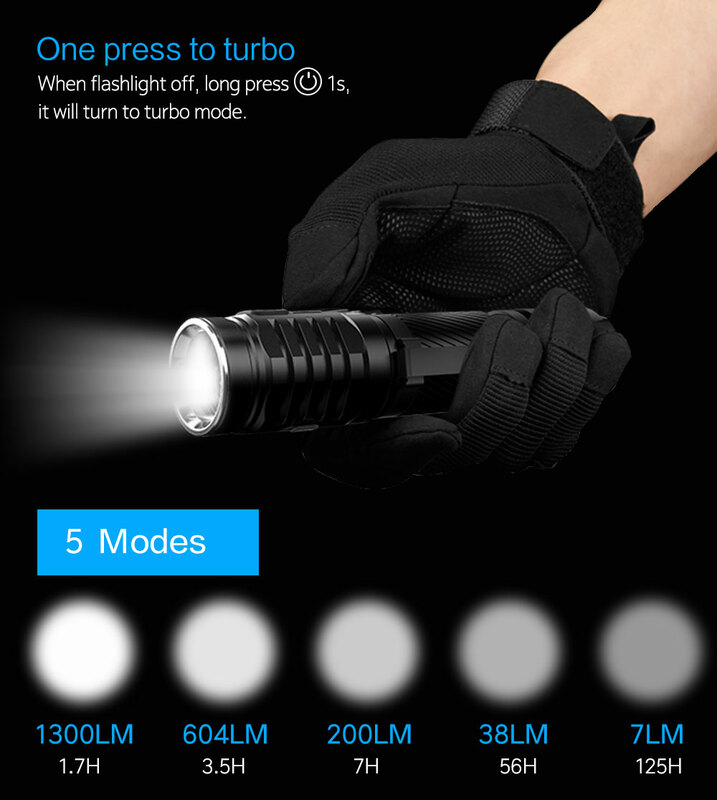 Wuben focuses on R & D of tactical flashlight for 36 years, serving global users 100million +, under the ANSI World standard, recognized by the military industry with excellent feedback! 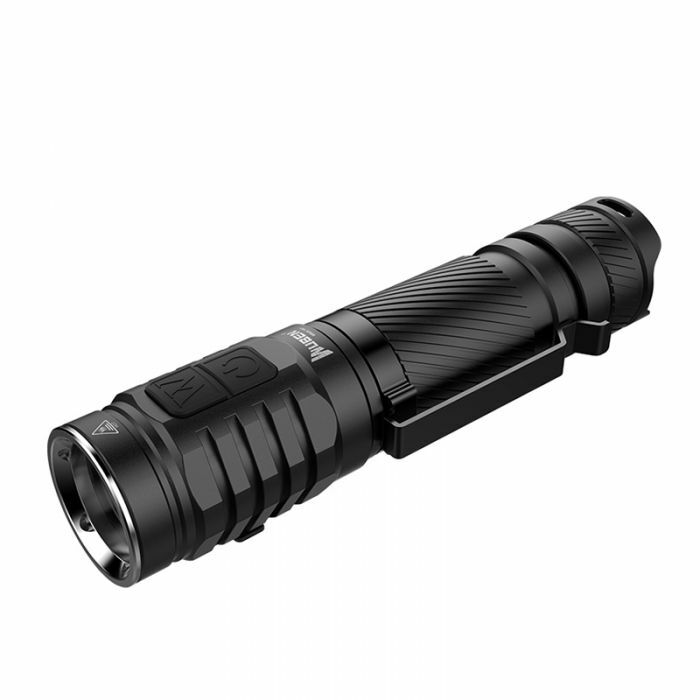 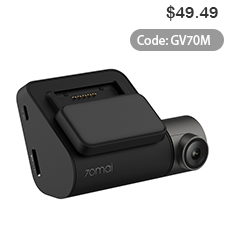 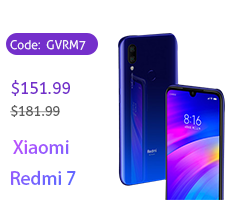 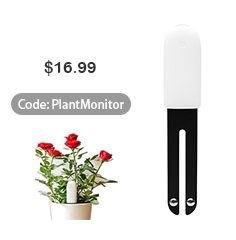 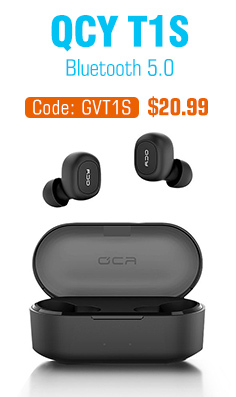 Lateral Double Latch Lock Function, Turbo and Strobe Pressure, Remaining Battery Power Display, Ultra-Clear Carclo Optics Creates a Smooth and Optimized Bundle, a Separate Thermoelectric Copper Substrate for better heat dissipation. 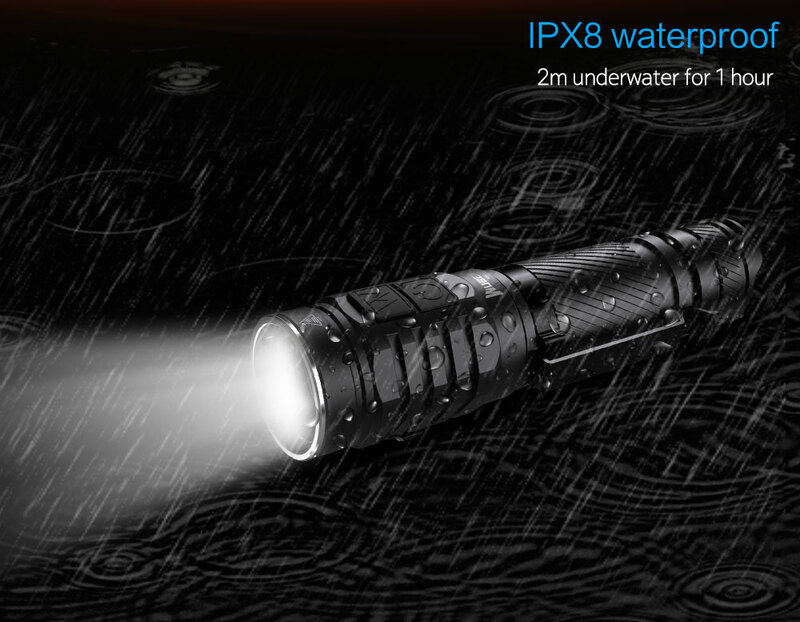 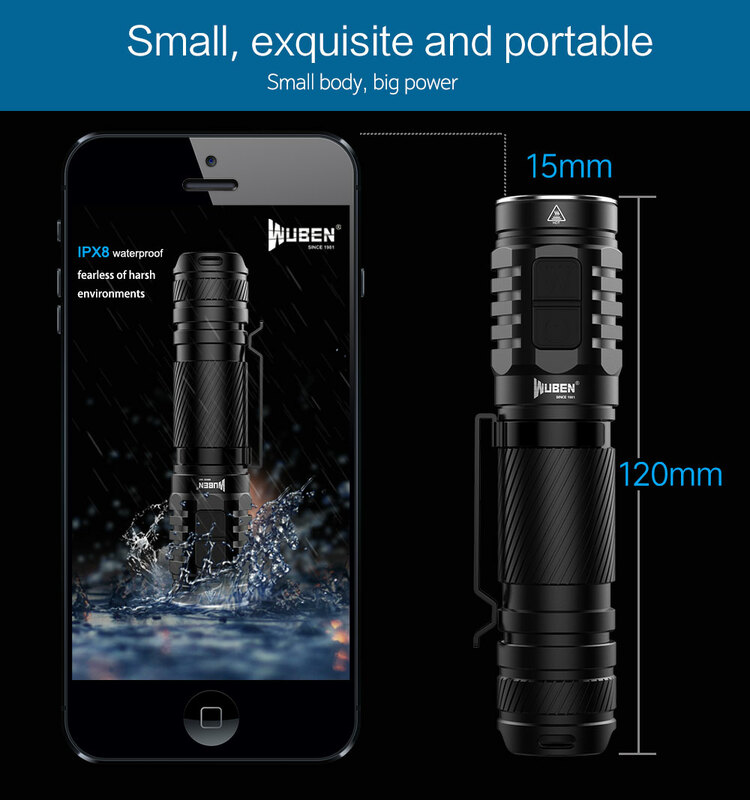 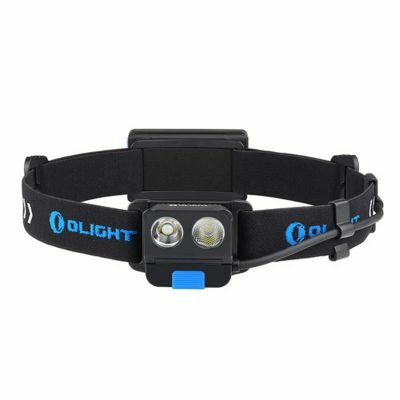 Waterproof torch light with IPX8 can be used in rain and up to 2 meters underwater. 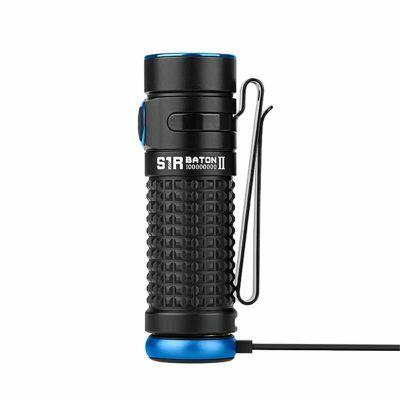 Shock resistance 1.5 meters Level. 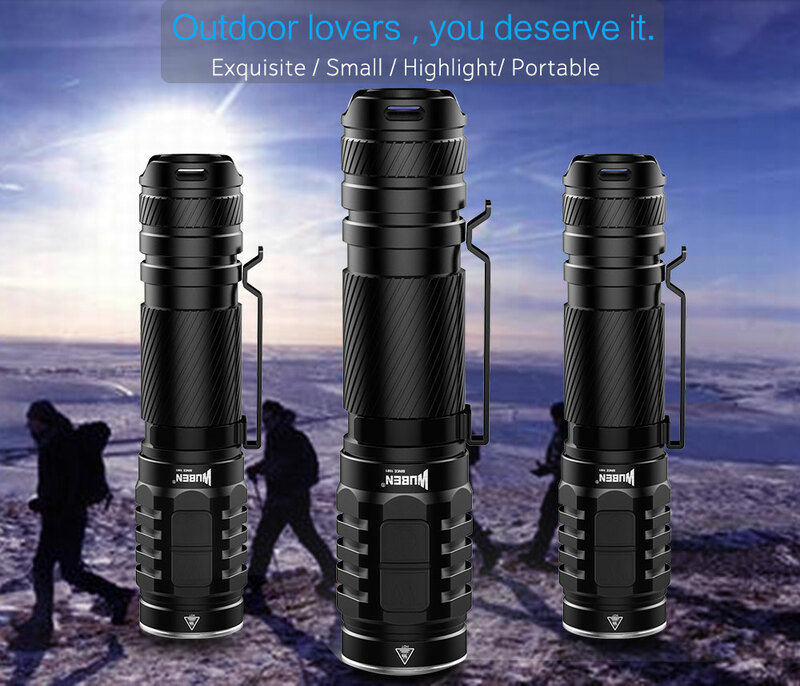 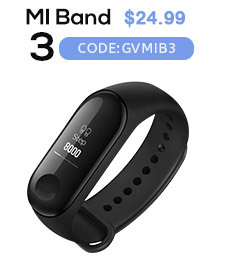 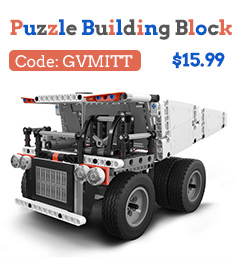 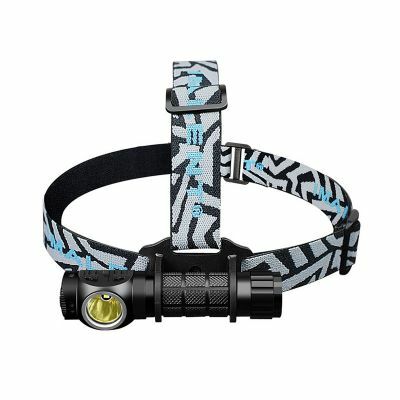 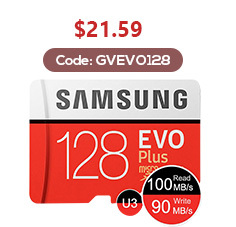 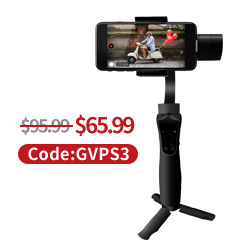 Perfect for your outdoor outings such as fishing, camping, exploring, hiking, and also ideal for home use.